Which Social Tools Are the Best? Having just come from a panel session that I was involved with for a Kent B2B conference/exhibition, I thought it would make sense to write this post. While I have the questions that people asked fresh in my head I thought I would try and answer a few of them again, but this time with some links to the relevant tools. One of the questions was “which social tools are the best and which ones can I use in order to help me run my social accounts?” Here are a few that the panel came up with, and the links to the relevant websites. Free to an extent – Pro and Enterprise upgrades are available. The main advantage of Hootsuite, I find, is the ability to post to multiple social networks from one interface. – Auto scheduler to let Hootsuite pick when is the best time to send out tweets/posts. 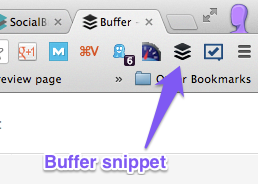 Buffer allows you to queue tweets up so that they send at specific times of the day. I really like this one as I often skim the social networks quite late at night and don’t want to send tweets out at that time as most people are asleep. Buffer allows me to prepare the tweet and it will send it out later at a time that I have specified in my account. What’s also great is that you can get extensions that go into your browser, which you can then use to buffer any page you are looking at. This is also the same for a number of different social apps. Again, they are worth downloading as it make the whole process of sharing things easier. Free to an extent – Pro upgrades are available. SocialBro can be used to help you understand more about your followers. – Who tweets the most, who tweets the least, who has the most influence etc. There are so many tools for social media out there but these are the three that I make the most use of. Are there any tools that you find invaluable for your social? Please let us know in the comments section.